I think I've been living under a rock. Obviously I had heard of Burberry, but I didn't realize they had a cosmetics brand until the end of last year. And then the hunt was on. Only a few of the Burberry stores here in Canada actually sell the makeup, and no department stores carry the line. I mustered up the courage to hit the one on Bloor Street a few weeks ago, quickly asked for the Sheer Eyeshadow Rosewood, and left the store (after I paid, obviously). I tried it a few days later, and from the second I ran my brush across the buttery surface, I knew I was in love. The texture, the pigmentation, the lux of the packaging. It's everything you could want in an eyeshadow. Rosewood is a hard colour to explain because it is so unique. It's like a taupey-brown, with undertones of purple and metallic golds and silvers. Essentially, it's perfect and one of a kind. The colour lasts all day (with my ever-handy Too Faced eyeshadow insurance), and looks amazing on it's own--no crease colour needed here, folks. 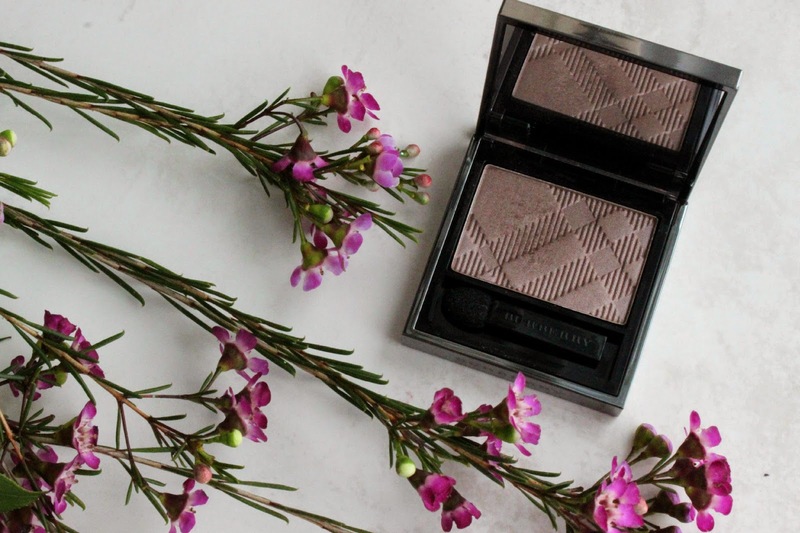 Staying true to its name, the eyeshadow is "sheer", but has a surprising amount of pigmentation. Only a few swipes across the lid, and the colour is very noticeable, but not overpowering. I was also pleasantly surprised at the price. A single shadow is $33.00 (Canadian), and is 2.5g, or .088oz. For reference, a Mac eyeshadow is $19.00 for 1.3g, or .04oz. And I actually found the staff at the Bloor street Burberry to be much friendlier than at the Mac down the street. Thumbs up for that! The packaging is a heavy metal, so it's incredibly durable. I can't wait to add a few more of these to my collection, and I'm looking forward to wearing them all summer long. Up next? Pale Barley. 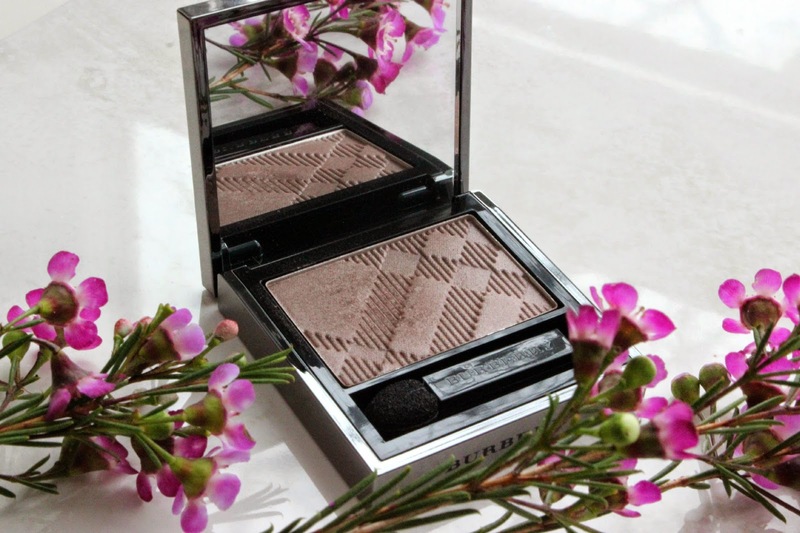 Have you tried any Burberry cosmetics? What are your thoughts?